The meal started off the house “Stand4 Red Ale.” A cold, Malty & Copper Beer was just what this hot afternoon called for. 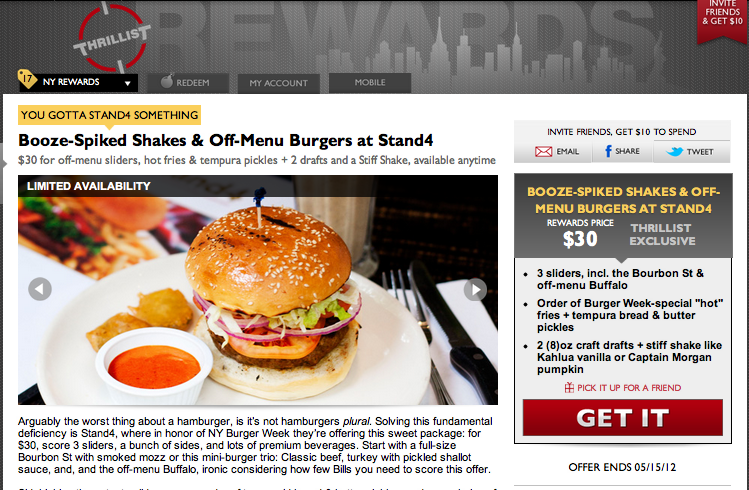 Diners who bought the Reward had a choice of sides but if you redeemed during New York Burger Week, you could upgrade to Stand4’s Hot Fries. 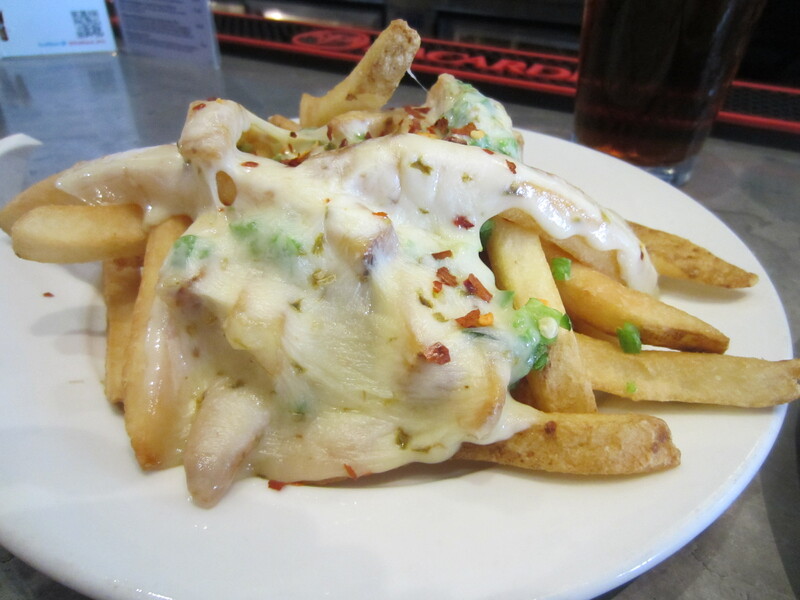 These are house cut French Fries topped with Jalepeño, Pepper Jack Cheese Fries & House Crushed Red Pepper. The Fries were fresh and crispy, just like they should be. The Cheese caused a little bit of clumping but that didn’t take away from the taste. Might’ve come across better if the Cheese was shredded but there were good either way. Choice is king and with the offer you have a choice of a trio of Sliders or a number of full sized Burgers. I didn’t feel like messing around with mini Burgers as they are harder to cook properly. 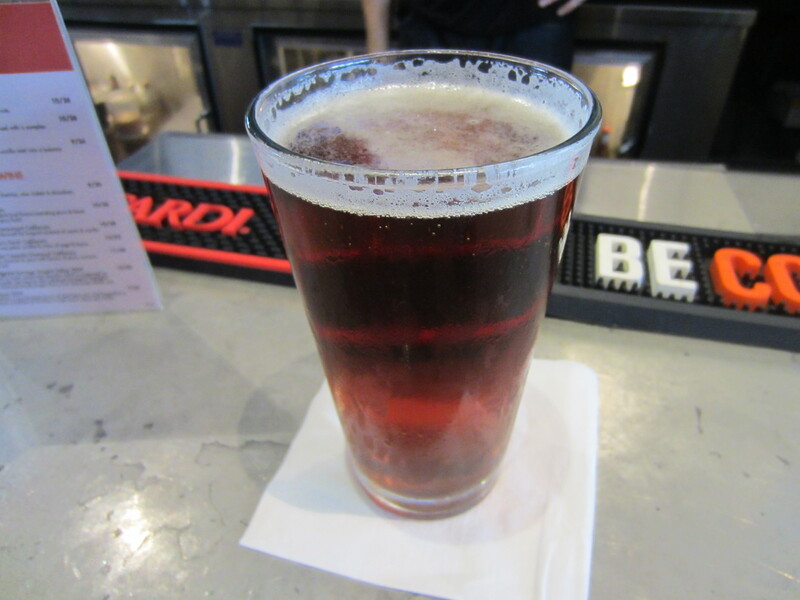 Instead, one of Stand4’s specialty Burgers was going to fit the moment; The Bourbon Street Burger. It’s covered with Mozzarella Cheese, Red Onion, Lettuce, Tomato and a house made Makers Mark Bourbon BBQ Sauce. It’s all gently balanced between a nice sturdy yet soft Sesame Seed Roll. The Jalapeños provide a nice kick up to the Burger but the Bun and soft Cheese help to off set the heat. Don’t be a wussy and shy away because the Jalapeños aren’t really that hot. 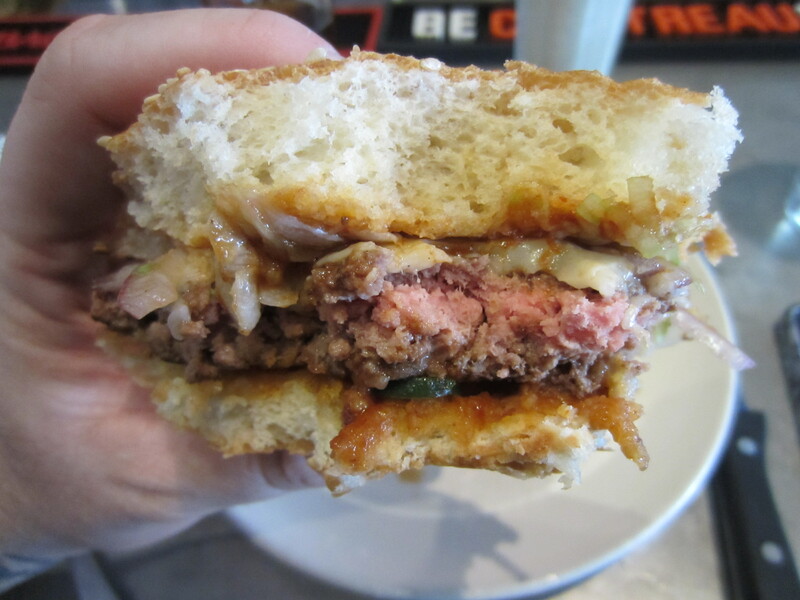 I loved the tangy and smoky sauce which really ads a cool layer of flavor to the sandwich. The best party? The thick and fresh Ground Beef Patty is well formed, delicious and never once do the other intense flavors of the toppings outshine the robust Beef flavor of the Meat. I have to say, it’s a very well put together sando. 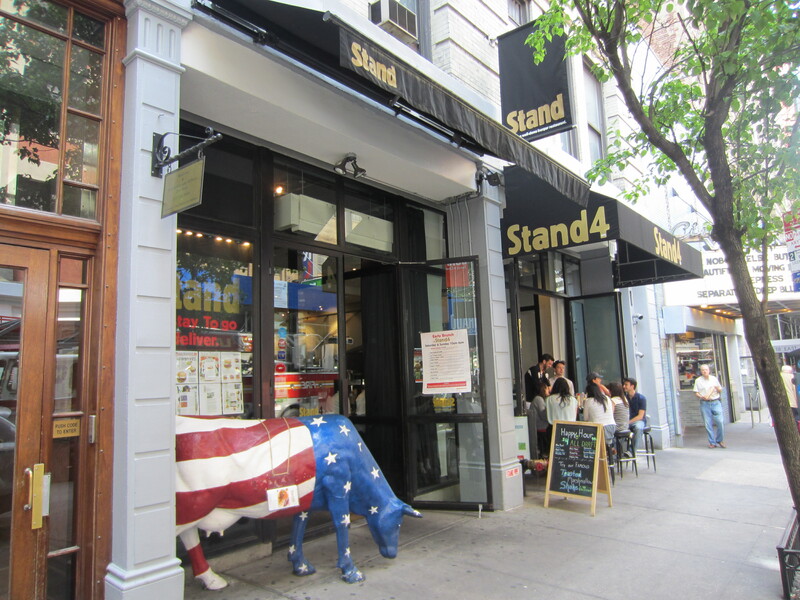 Not every great Burger maker can also make great Sides, Shakes and otherwise but at Stand4 you are guaranteed an all around great Burger meal. Stand4 offers a number of fresh Gelato Shakes as well as spiked up “Stuff Shakes” created with various liquors. 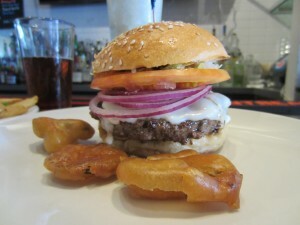 The New York Burger Week Thrillist Reward came with your choice of the latter. 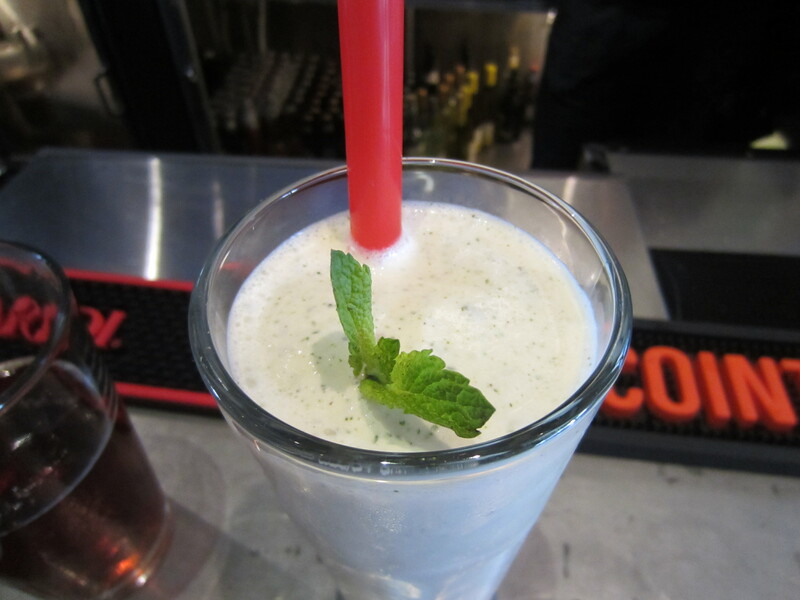 I opted for the Rebel Reserve Bourbon Fresh Mint Shake. It was a big Shake, not too thick with a nice creamy texture. 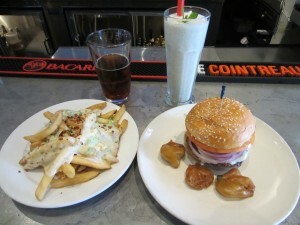 The Stiff Shake was a great end to a somewhat spicy meal, especially on a hot muggy day! Stand4 scores a 5 on The Rev Meter. This entry was posted in Bar, Beer, Burgers, Gourmet Burgers, Hamburgers, National Hamburger Month, New York, NY Burger Week, Thrillist Rewards and tagged best burger nyc, burger conquest, cheese, ciancio, french fries, hamburger, new york, ny, NY Burger Week, nyc, rev, review, stand, stand4, stiff shakes, the rev meter for social community, thrillist, thrillist rewards. Bookmark the permalink.